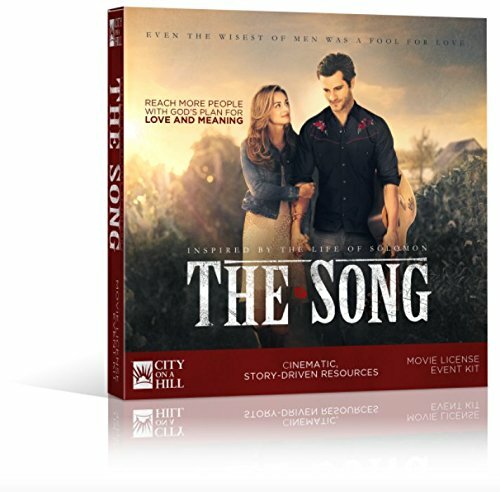 The Song Movie License Event KitZoom Sale The Song Movie License Event Kit 4 Review(s) | Add Your Review Bring THE SONG to your church or other organization for public showings! Site licenses are required to host a public screening of a movie. This kit provides you with the license and much more, including: - THE SONG Movie (DVD) - Authorized Public Exhibition License (Valid for one year) - Two posters (18" x 24") - A 16-page planning guide to assist you in hosting your Event - A resource DVD with printable art files to promote your Event - Awaken Love Couple's Devotional Licenses are based on a church's average weekend attendance (not on the possible size of the viewing audience). All other organizations are covered by the Standard license fee. - For churches under 100, it's $99 - For churches 100-1,000, it's $199 (standard) - For churches over 1,000, it's $299.